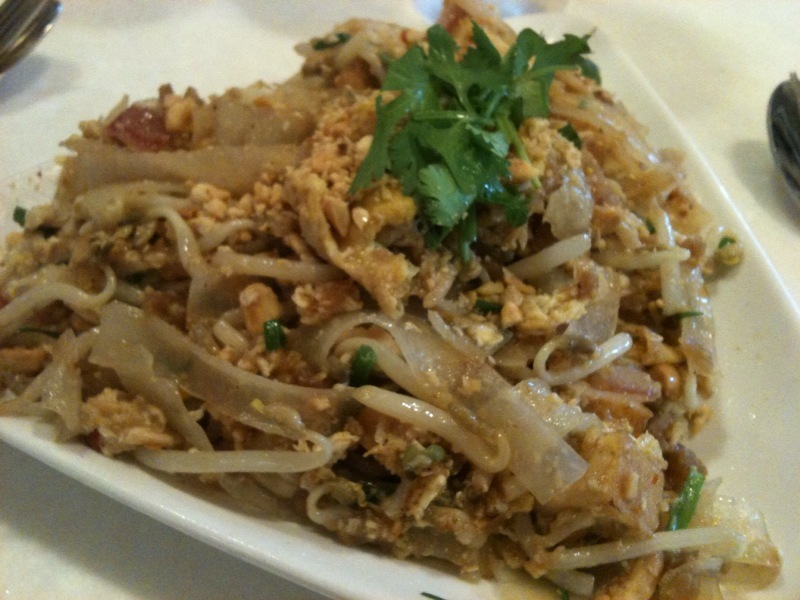 How delicious is Thai food? Warm, spicy noodles, loads of fresh veggies, and peanut sauce. Oh, glorious peanut sauce. The Smiling Elephant has become my favorite Nashville Thai spot. Located only a few blocks from my house, this authentic Thai restaurant is cozy and addictive. 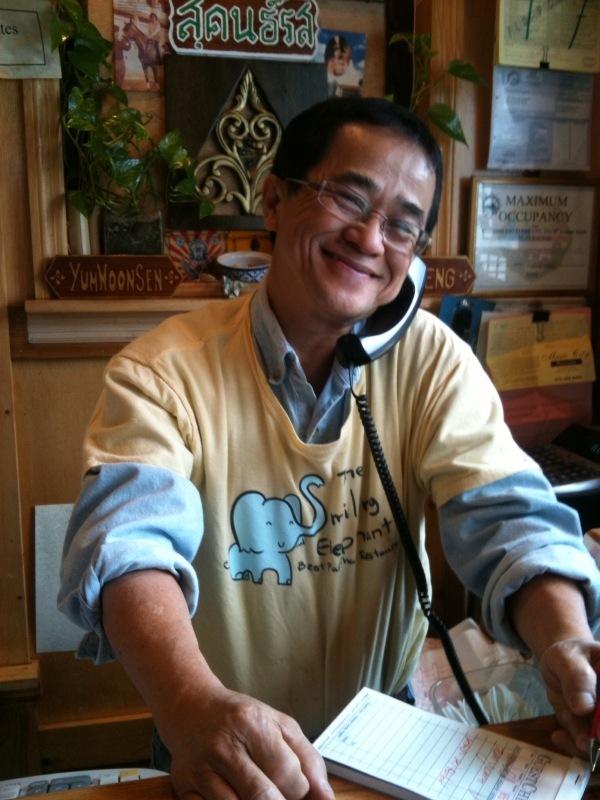 The cute owner (who built the place himself) generally takes to-go orders and acts as the cashier, all while wearing this adorable T-shirt. I decided to try my own hand at a little Thai cooking when I came across a super simple recipe for Thai beef cups. So easy. So yummy. So making this again. Heat a large skillet over medium-high heat, and add 2 teaspoons oil to pan. Cook ginger and garlic for 1 minute, stirring constantly. Add beef and brown. Whisk together remaining oil, sugar, the juice of two limes, fish sauce, water, and red pepper in a large bowl. Add the beef mixture, onion, and cilantro. Toss well. 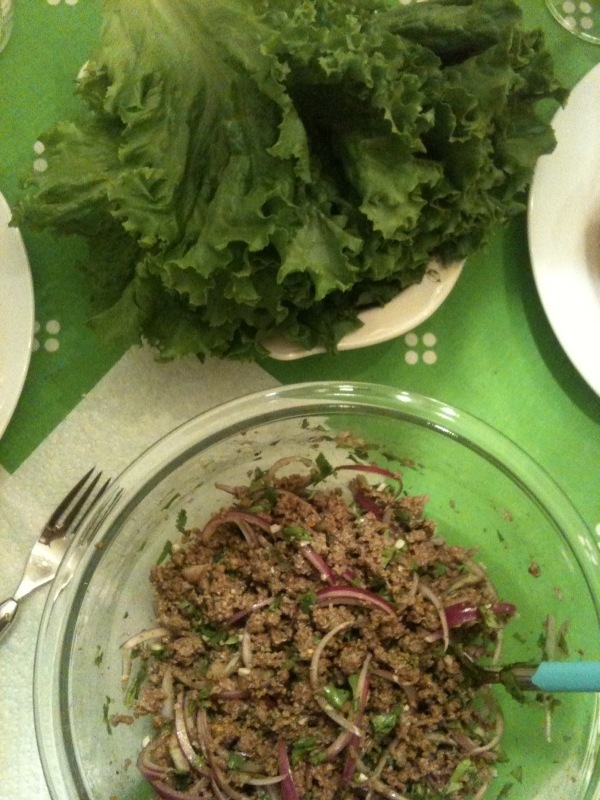 Fill lettuce leaves with beef. Top with peanuts and serve with lime wedges. 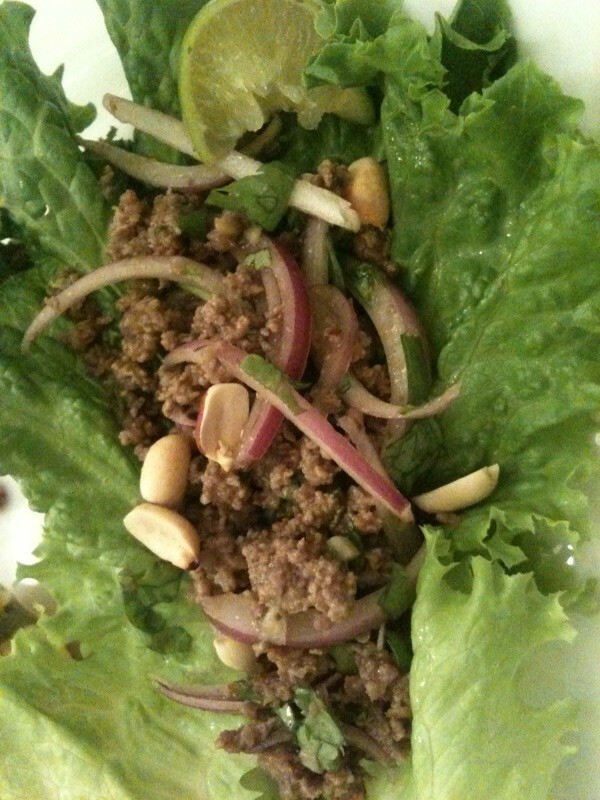 Categories: Recipes, Restaurants | Tags: beef lettuce wraps, cooking light, thai food, the smiling elephant | Permalink.